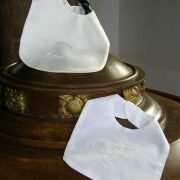 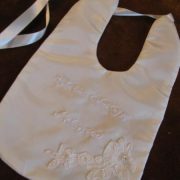 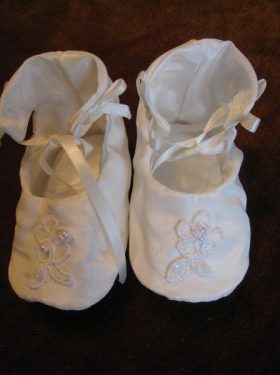 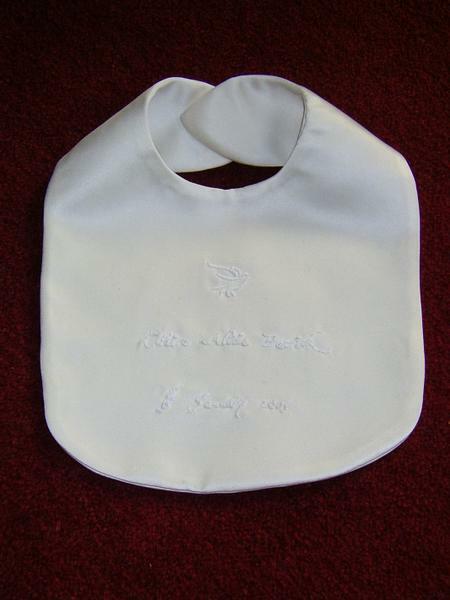 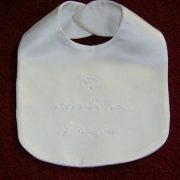 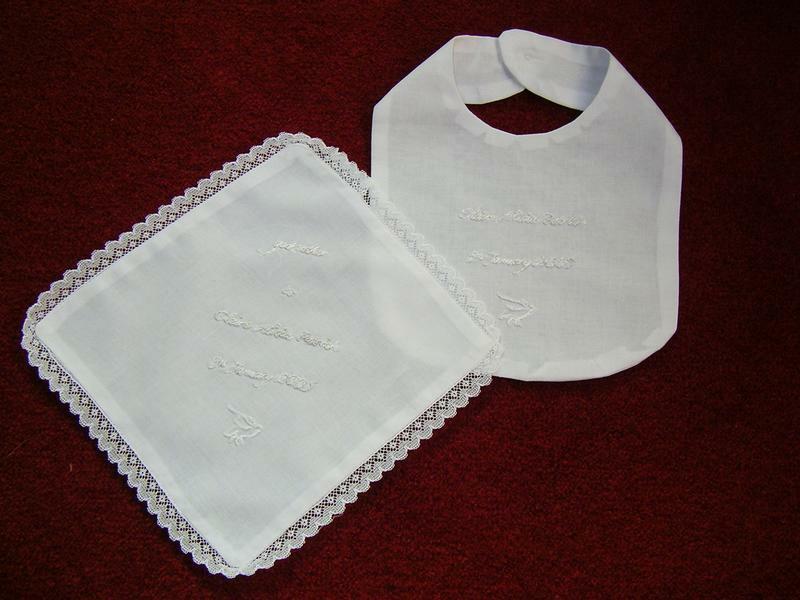 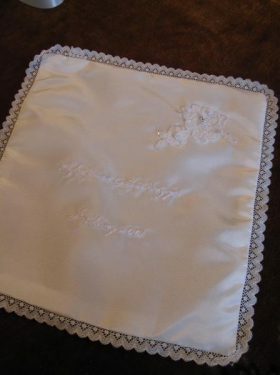 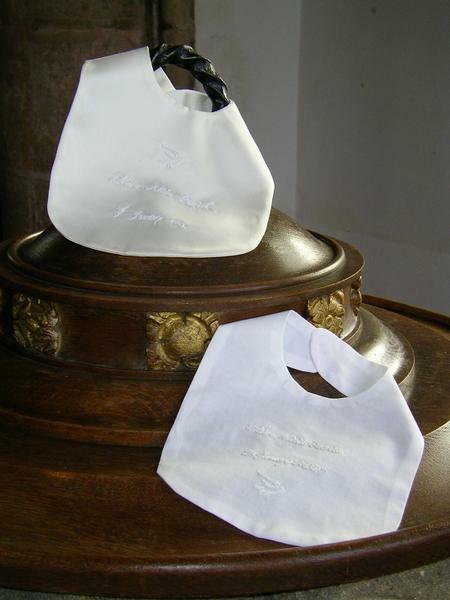 Beautiful silk dupion bib hand embroidered in ivory silk with the name of the baby and the date of the baptism. 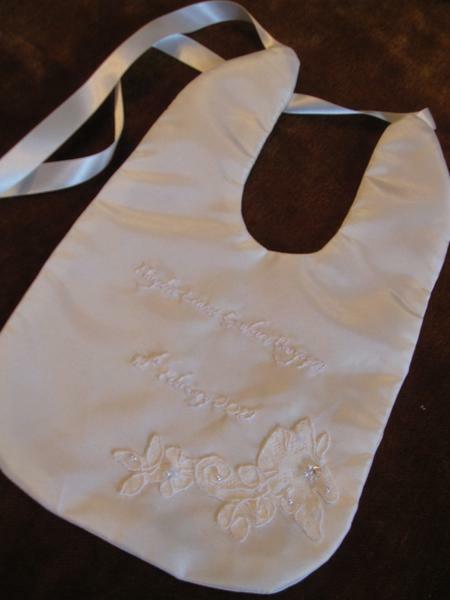 A little dove is also embroidered onto the bib to represent love for the child and hope for its future. 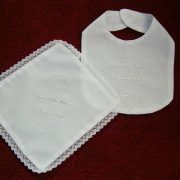 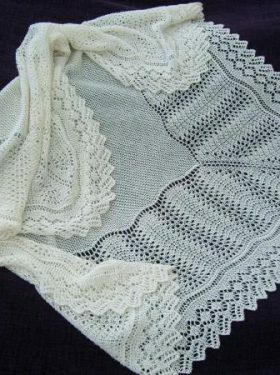 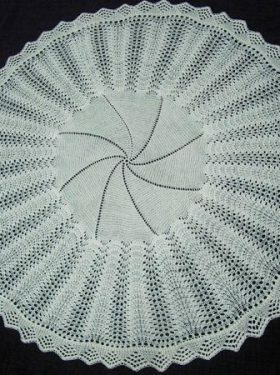 Also available in cotton lawn or satin and a variety of silk threads.